Castle Stuart Golf Links in the Highlands is a championship links course overlooking the Moray Firth and venue for the Scottish Open Championship. The Moray Firth, the Black Isle and other well-known landmarks figure prominently on every hole. 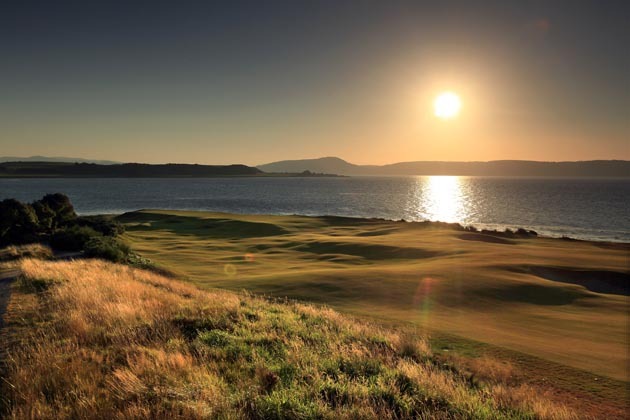 For fifteen holes the sea is directly in the golfer’s line of play; the other three holes offer vistas of the firth. The resort will include a small luxury Hotel & Spa and a second Seaside Course is in the planning. Castle Stuart’s goal is to add to the rich fabric of golf in the Scottish Highlands – a fabric made rich by Royal Dornoch, Nairn, Brora and many other fine golf clubs.